Two back-to-back attacks on Indian targets scripted by the Pakistani military since last weekend — a terror strike on the consulate in Jalalabad, Afghanistan, and the ambush-killing of five soldiers on the Indian side of the line of control — highlight the escalating costs of India’s prolonged leadership drift. India has never before presented itself as being so directionless, weak, impotent and vulnerable. This same factor has created a sinking feeling economically, dragging the stock markets and the rupee down. Ominously, Pakistan and China are now harassing and provoking India on opposite flanks of Jammu and Kashmir, as if they were acting in concert. Chinese military forays into Ladakh have increased in parallel to the Pakistani ceasefire violations this year. The question whether the two “all-weather” allies are pursuing a pincer strategy to squeeze India must be examined in context of Beijing’s open use of the Kashmir card. With India deploying additional forces to guard Arunachal Pradesh, especially its critical Tawang Valley, China has focused on Kashmir, disputing India’s sovereignty over J&K, stepping up raids into Ladakh, and enlarging its strategic footprint in Pakistan-held Kashmir. Yet time and again, when faced with an act of cross-border aggression, Prime Minister Manmohan Singh’s beleaguered government has turned the other cheek, as if India’s only options are appeasement or all-out war. To cover up its timidity, it has also sought to make light of virtually every onslaught. In the way the external affairs minister — as if reading from the aggressor’s script — belittled the 19-km Chinese encroachment in April-May by calling it a “small little spot” of “acne”, the defence minister contradicted the army’s written statement implicating the Pakistani military directly in the latest killings. The defence minister has no independent way to assess what happened, yet he twisted the army’s version unconscionably for narrow political ends. Make no mistake: The ministers in charge of national security — including an equally bungling home minister, whose heedless comments have come handy to Pakistan and its terrorist proxies like Hafiz Saeed — have emerged as millstones around the country’s neck. In the U.S. and other important democracies, any act of aggression prompts a quick statement by the country’s top leader. But Singh typically responds by staying mum initially as he works to ensure the “peace” process is not derailed. Had the PM forthrightly spoken up promptly like Sonia Gandhi — who said the latest killings mirrored Pakistan’s “blatant acts of deceit” — he would have shocked a nation that has come to regard him as irremediably meek. After all, he has put the internationally unprecedented Mumbai terrorist siege behind him. Even when Pakistani troops raided Indian territory seven months ago and chopped two soldiers, taking away one severed head as a “trophy”, that savagery did not deter Singh from quickly returning to business-as-usual with Pakistan. Every Pakistani or Chinese act of aggression is just more water under the bridge for him. The leadership deficit is exacting a serious toll on national security and Singh’s own credibility, with even markets and investors losing faith and the economy lurching towards a potential balance-of-payments crisis. Having been catapulted into public life by the 1991 BoP crisis, Singh now risks coming full circle. Tellingly, Singh has greeted each cross-border ambush or intrusion with inaction and stoic tolerance, thereby emboldening India’s adversaries to up the ante. 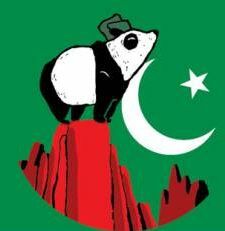 As a result, his Pakistan and China policies enjoy little public support, crimping the political space for any bold action by a government that, in any event, is now on its last legs. It should not be forgotten that Singh has already granted Islamabad a series of unilateral political concessions, including delinking dialogue from terrorism. He has also pursued a host of goodwill gestures, including resuming cricketing ties and introducing a less-restricted visa regime for Pakistanis. All these moves have failed to tame Pakistani military belligerence. The latest attacks actually accentuate India’s policy dilemma. India would like to do its bit to strengthen the hands of Pakistan’s civilian government, including through a genuine peace-building process. But its efforts can prove meaningful only if the Pakistani government reclaims authority from the powerful military to run the country’s foreign policy, especially its India policy. Pakistan Prime Minister Nawaz Sharif has made little effort to assert such authority. In fact, throughout his political career during which he has thrice served as PM, Sharif has danced on both sides of the civil-military faultline. Sharif is no sharif. He rose to prominence in politics as the military’s front man before eventually running afoul of the military. The lesson he has learned is not to clash with the military again. So, with the military effectively running Pakistan’s India policy, whom can India engage to help chart a new direction to bilateral ties? Singh, in his gushy chase of peace and open borders with Pakistan, has ducked this question, even though he risks making the same mistake with Sharif that his predecessor, Atal Bihari Vajpayee, did in 1999 when he admitted that his peace bus to Lahore was “hijacked” to wage war in Kargil. The hard fact is that subcontinental peace hinges on Pakistan’s internal dynamics — on the ability of its government and people to correct the heavily skewed civil-military relations. Unless that happens, India-Pakistan dialogue cannot yield a breakthrough. Indeed, without the structural correction, such dialogue will only encourage the military to undermine that process through direct or surrogate acts of aggression.